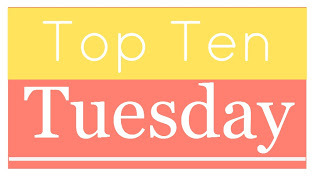 This week’s Top Ten Tuesday is a freebie, so I’ve decided to list ten of my favorite comfort reads. In the chilly depths of winter, there’s nothing better than curling up with a blanket and a good book, especially one that makes you smile or warms your heart. So below are ten of my favorite comfort reads (in no particular order); links are to my reviews, if applicable. I love these books because they’re romantic, they’re hopeful, and they allow love and virtue to triumph in the end. Perfect for cozying up with on a cold winter’s evening! What are some of your favorite comfort reads? Haha thanks! We certainly do have good taste don’t we. 🙂 Rose in Bloom is a lovely sequel to Eight Cousins, wherein the cousins are all grown up and trying to figure out their lives. This is a seriously good list. You have no idea how happy it made me to see ROSE IN BLOOM on here. That is a beloved book of mine from way back and I rarely see it spoken of. Also, yay for Sugar Queen, Guernsey, and Anna! Yay, another Rose in Bloom fan! I also really love An Old-Fashioned Girl…there’s a lot more to Louisa May Alcott than Little Women! Yay Blue Castle. And though I only read it once, glad to see Miss Pettigrew. Have you tried Major Pettigrew (no relation) ? Lovely read. I’d add Evening Class by Maeve Binchy to the list – it’s one I read every year for a long time. Ha, I have read Major Pettigrew’s Last Stand as well! I liked it at the time but don’t have a huge lasting impression of it. Thanks for the Maeve Binchy rec — I actually haven’t read anything of hers yet!